A smooth and beautiful way to move a lot of air! Fan comes standard with 6″ internally threaded downrod — length to bottom of fan is 10 3/4″ with 6″ downrod. Fan comes standard with 6″ downrod—length to bottom of fan is 9 3/4″ with 6″ downrod, 8″ to bottom of blades. 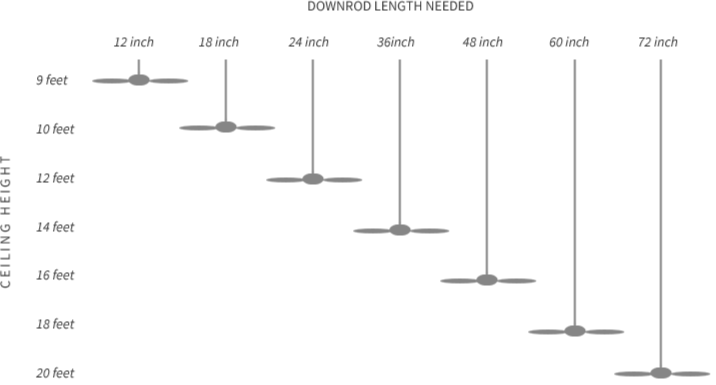 Accessory downrods are available at additional cost in 12″, 18″, 24″, 36″, 48″, 60″, and 72″ lengths. Note that downrods longer than 36″ are only available in oil rubbed bronze and flat white.